Oh the delight at discovering a new author. 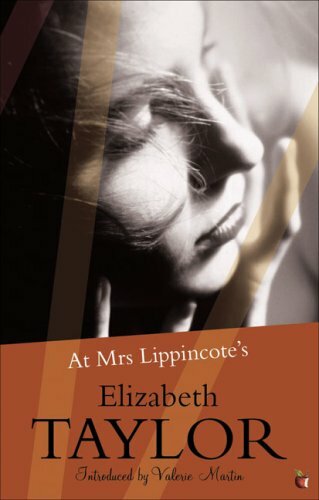 I can’t remember where I stumbled across Elizabeth Taylor, but she seems to be the “novelist’s novelist” with fans ranging from Valerie Martin and Kingsley Amis to Sarah Waters, Jilly Cooper and Elizabeth Jane Howard. At Mrs Lippincote’s is Taylor’s debut novel, first published in 1945. It is a minutely observed account of a family in wartime. Roddy is posted away from London and so rents a house from a widow, Mrs Lippincote. The landlady remains ever-present in the house through her family photographs on the mantelpiece and her possessions in the cupboards. Julia’s life has a transitory feel, she is where she is because of her husband and war, war which is ever-present on every page, and she is curious about the life of the Lippincote family. This is not a war novel about bombs and sirens, it is the snapshot of a normal family living in abnormal times. The Davenants live at Mrs Lippincote’s with their sickly, seven-year-old book-obsessed son Oliver, and Roddy’s cousin Eleanor. Eleanor, in love with her cousin, finds new friends via a fellow schoolteacher. Julia becomes close to the Wing Commander, Roddy’s boss, while Oliver makes friends with the boss’s daughter Felicity. The latter is an expert at identifying the type of military aircraft flying overhead, a revelation for Oliver who is in the process of re-living the life of Alan Breck Stewart in RL Stevenson’s Kidnapped. His love of books is shared with his mother who constantly refers her real life situation to that of the Brontes and their fictional characters. Roddy in turn is exasperated by his wife. ‘When he had married Julia, he had thought her woefully ignorant of the world; had looked forward, indeed, to assisting her development. But she had been grown up all the time; or, at least, she had not changed. The root of the trouble was not ignorance at all, but the refusal to accept. ‘If only she would!’ he thought now, staring at her; ‘If only she would accept.’ At a time when women are, for the second time in decades, assuming the jobs of men during wartime, Julia is trapped in a domestic life determined for her by her husband and his boss. There are 11 Elizabeth Taylor novels waiting to be read, plus numerous short stories, and this makes me happy. For more on re-discovering English novelist Elizabeth Taylor, read this article by author Philip Hensher in The Telegraph.